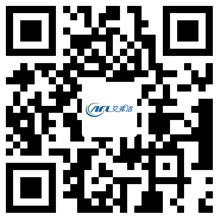 How To Buy AFL Centrifugal Fan - Hangzhou Airflow Electric Appliances Co.,Ltd. A centrifugal fan is a mechanical device for moving air or other gases. The terms "blower" and ..... methods for conducting laboratory tests on housed fans to determine airflow rate, pressure, power and efficiency, at a given speed of rotation. Fans are used almost everywhere, in both industrial and commercial applications, in handling materials, ventilators, boilers, collecting dust, and refrigeration. The fans of the fans can have a significant effect on the productivity of the plant. Fans are so important, that they are often over-designed, to prevent under-performance, and problems are created that increase the operating costs, while reliability is undermined. Shrouded Radial Blade blower wheels are used for delivering high volumes of air under high pressures, and are used in blow-off systems, with extended piping or duct work. The Centrifugal fans that use Open Radial Blades with Back Plate blower wheels are used in the transport of granular or powdery material and fibers. An alternate design that can also be used for the transfer of granular material is the Open Paddle Wheel, which contains no back plate. In the Backward Inclined wheels design, flat plates are attached around the circumference of the plate in the same configuration of an airfoil or the wing of an airplane. They are used for common ventilation, in HVAC systems, and in the dust collection. Forward Curve Multi-vane wheels are used for transferring larger volumes of the air at slight pressures, and are also used in HVAC units that operate at the slower speeds. The final wheel configuration is the Backward Curved Radial blower wheel, which is actually a modification of the Open Radial Blade wheel, but the performance is much improved performance. It can really be used for conveying granular material.